Climate activists fed up with the influence of corporate money on Congress stormed Speaker of the House John Boehner’s office in West Chester today wearing striped ref uniforms to “blow the whistle” on congressional corruption. Activists in uniform blew literal whistles and threw penalty flags to draw attention to the corruption of Congress by corporations and Big Oil, as evidenced by the ongoing campaign to force through the pipeline. “I’m a writer, and I would never accept money from someone to bias any of my articles. That’s why I’m sick of Congress saying the millions they get from Big Oil hasn’t affected their votes on Keystone XL. Shame on John Boehner for vowing to continue his campaign to force this pipeline,” said Andrew Culp, writer and teacher…. WASHINGTON – At a protest on Capitol Hill this [week], hundreds of people dressed as referees called “foul” on members of Congress for supporting the Keystone XL pipeline while taking millions of dollars in campaign contributions from the fossil fuel industry. The protest was the first of many similar actions across the country as reformers go on the offensive against Big Oil and its political allies in Congress who have given billions in handouts to fossil fuel companies while slowing down progress on the nation’s transition to 100 percent renewable energy. A Danish court has acquitted an activist and Greenpeace Nordic of trespassing on five Danish fishing vessels, even though the hearing started both actually admitting to trespassing. The court found – just like we did – that the reason for trespassing was fully justified. The case began back in January 2009, when an area of the Kattegat – a body of water between Denmark and Sweden – was declared closed for fishing. The area was protected because scientists identified it as the primary spawning ground for the threatened Kattegat cod. In the past, the Kattegat cod spawned many places in Kattegat, but now the cod is almost gone due to overfishing. This overfishing is not “just” bad for the cod; it has altered the entire ecosystem. The collapse of the cod has caused more and bigger algal blooms along the west coast of Sweden, further adding to the decline of cod, since these areas used to be nursing area for small cod. The ecosystem has entered a vicious circle. Following sustained rumors and local concerns that fishermen were apparently not complying with the closure, and that the fisheries authorities also apparently did not have the tools to stop them, Greenpeace decided to act. Using different surveillance systems we confirmed the rumors, but had no evidence that would stand in court. So in March 2010, Greenpeace activists went to the harbor of Gilleleje, climbed onboard a fishing vessel and placed a GPS-tracker way up in the mast – where it could stay hidden…. Washington, D.C. – Today, the Secretary of Agriculture and Undersecretary for Food Safety announced the U.S. Department of Agriculture’s (USDA) plan to proceed with a program that would privatize the inspection of poultry products in the United States. Food & Water Watch vehemently opposes this plan and any other attempts to privatize food safety functions that are the responsibility of the federal government. “This proposal is unacceptable and violates the department’s legal obligation to protect consumers by inspecting every carcass and every bird produced in USDA-inspected plants,” said Food & Water Watch executive director Wenonah Hauter. The USDA has been running a pilot project with this new inspection scheme in two dozen slaughter facilities since 1998. In these plants, line speeds have been permitted to run as fast as 200 birds per minute, which is several times faster than other poultry slaughter plants. Reports from these plants indicate that the company employees who perform inspections that used to be performed by USDA inspectors are not properly trained or given the authority to take necessary action to stop unsafe product from leaving the plant. An initial review of more than 5,000 pages of documents that Food & Water Watch recently obtained through the Freedom of Information Act indicates that current regulations are not being enforced by company inspectors. For example, the records show that bile, sores, scabs, feathers, and digestive tract tissue are often not being properly removed from chicken carcasses…. Using more clean, renewable electricity from sources such as the sun and wind will increase our energy independence, save consumers money, and reduce our global warming emissions. One of the primary drivers of the growth in wind energy in the United States is the federal production tax credit (PTC), which gives developers tax incentives for generating energy from renewable sources. Despite the PTC being one of the primary drivers of wind development, the federal government has allowed it to expire on three separate occasions since 1999. These lapses in the PTC led to a boom-bust cycle that drastically slowed the wind power industry for many months at a time. The current PTC for wind power is set to expire at the end of 2012. The expiration of the PTC threatens one of the country’s fastest growing clean energy industries and could put tens of thousands of Americans out of work. Continued growth of wind energy through 2013 and beyond depends on passing the PTC well ahead of its expiration date. Write your members of Congress today in support of a four-year PTC extension for wind energy. Learn more about wind power and the production tax credit for renewable energy. Koch Industries and other corporations have hijacked our democracy for too long. Sign the petition on the link above if you support a constitutional amendment to end corporate influence over our democracy…. The war on climate science is waged on many fronts, with one growing element being high schools. One Washington school board placed a moratorium on showing “An Inconvenient Truth” in classrooms. A California school board has voted to include “multiple perspectives” on climate science. Another movement in Colorado gathered 700 signatures asking to remove climate science from curriculums. These are all manifestations of a growing movement to inject denial of human-caused global warming into school curriculums. Most importantly, the NCSE are on hand to support teachers who are under attack and need assistance. If you support the defence of climate science, I strongly recommend supporting the NCSE – you can donate or become a member (I just signed up)…. The next time a climate scientist gets sued by a think tank, state attorney general, or fossil fuel industry front group, they’ll have a fund to tap into in order to support their defense. The Climate Science Legal Defense Fund is now officially affiliated with Public Employees for Environmental Responsibility (PEER) to aid environmental scientists. In recent years, an increasing number of lawsuits and Freedom of Information Act requests have been filed against prominent climate scientists, such as Pennsylvania State professor Michael Mann, seeking details about their email correspondence, funding, and research activities funded with taxpayer dollars. These lawsuits and information requests have taken climate scientists away from their labs and into the courtroom, and cost them thousands in legal fees. To date, none of efforts have turned up any evidence of wrongdoing. Mann, for example, has been the target of a probe by Virginia Attorney General Ken Cuccinelli II, who has been seeking to determine whether he violated Virginia’s Fraud Against Taxpayers Act while conducting state-funded research. Other researchers, including Gavin Schmidt of NASA, have also been the subjects of Freedom of Information requests to release certain email correspondence. Scientists have denounced such legal actions as fishing expeditions that set dangerous precedents for curtailing academic freedom. The defense fund will be used for helping researchers defray their legal bills, educating researchers about their rights and responsibilities, and recruiting a cadre of lawyers to represent climate scientists…. Pins, leaflets, buttons, and tees are all great ways to show off your pride and passion for animal rights, but these PETA activists went above and beyond with their audacious banner hangs. Check out some of the best photos of PETA banners that have graced freeways and highways over the years and get inspired to speak up for animals…. The Antarctic ice sheet is melting. The Himalayan glaciers are shrinking. Sea ice is disappearing at the poles. These changes are happening in remote parts of the world, but the global climate crisis touches us all. A melting glacier in Antarctica contributes to rising sea levels, threatening our cities and infrastructure. A decline in mountain snowpack makes our supplies of drinking water less secure. No matter where we are, we are all living on thin ice. Working with our partners around the globe, we have organized local expeditions to show what a changing climate means for everyone. These expeditions range from a trip to the Antisana Glacier in Ecuador, to the Arctic. Our partners in Brooklyn, New York are showing how sea level rise impacts a local canal. And we are traveling to Antarctica to reveal how changes on a faraway continent are transforming the entire world. Our expeditions are a way to build a global community around the shared impact of the climate crisis. To that end, we invite you to take a look at our journals, photos and videos as they are posted on our website. And we encourage all of you to organize your own Living on Thin Ice expedition near your home, and write back to let us know how it went…. The Supreme Court’s Citizens United decision has already picked a winner in the 2012 elections: broadcast media. With a projected $3 billion in political-ad money flooding into local television stations this election season, broadcasters must do right by the viewing and voting public. That means providing real information on the deep-pocketed interests behind this money, and investing profits into comprehensive election coverage. Let the companies that control local TV stations across the country know that we are watching them. Broadcasters shouldn’t get a free pass in 2012. We’ll deliver your message to their top lobbyist in Washington — the National Association of Broadcasters. Next week on Tuesday Jan. 31st, family farmers will enter a courtroom in New York City in the first phase of their landmark case against Monsanto to seek legal protection from their abusive patent infringement lawsuits against America’s farmers. Already more than 55,000 citizens have taken a stand with America’s farmers to put an end to Monsanto’s climate of fear and intimidation. Please join them to take a moment to say “I Stand with Family Farmers” as they prepare for their potentially historic lawsuit OSGATA et al vs. Monsanto. When these brave family farmers walk into the courtroom, we want them to know that you have their back. Please spread the word to your friends and family today…. Feedpet.net was designed to help the animals. By collecting funds from advertising on this page we will actively assist shelters and some organizations which are associated with assistance. We encourage you to visit our website and join to us on Facebook. Youth activists interrupted the State of the Energy Industry earlier this week to deliver the 99 percent’s message to polluters’ biggest lobbies, who were all gathered for a conference. America’s television meteorologists are the primary source of climate information for most Americans, and are second only to scientists — who have much less access to the general public — in the level of trust they are given. Yet more than half of TV weather reporters don’t believe in human-induced climate change, even as our poisoned weather grows more extreme. Forecast the Facts, a new campaign of 350.org, the League of Conservation Voters, and the new Citizen Engagement Lab, aims to turn the tide. 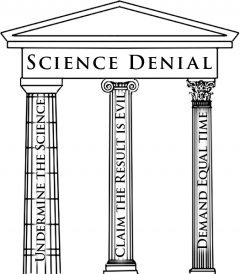 The first call to action challenges the American Meteorological Society to vote next week for a strong climate change statement that rejects science denial…. With 13 million people in Horn of Africa countries facing down drought, famine and other real-life challenges that would give pause to any fictional superhero, DC Entertainment has joined forces with Warner Bros. Entertainment and other Time Warner companies to launch the “We Can Be Heroes” campaign, to enlist the help of ordinary citizens across the globe in raising relief funds. We Can Be Heroes is notable in several respects, not only because of its ambitious reach – the funds will go to help find long term solutions as well as short-term relief in a part of the world beset by historic levels of drought – but because it also sets an incredibly high bar for communicating about social responsibility and motivating people to get involved and pitch in for the long haul. is an online legal news service that has won many awards for its content, and is quite influential in legal circles. It was described by the ABA Journal as one of “the best Web sites by lawyers, for lawyers.” I was invited to contribute a commentary on the Animal Enterprise Terrorism Act. A recent undercover investigation into one of the nation’s largest egg producers, Sparboe Farms, documented hens mangled in cage wire, many with open wounds, and chicks having their beaks burned off by workers. This is just one of many investigations by animal welfare advocates that have exposed standard industry practices, created national dialogue about factory farming and in some cases prompted criminal charges. Newly released FBI documents show that the government is less concerned about these abuses and more concerned about the economic loss caused to businesses. The FBI has also been keeping files on factory farm investigators, and recommends prosecuting them as terrorists. Perhaps the most dangerous tactic employed by corporations has been the manipulation of post-9/11 fears to enact designer terrorism legislation. Foremost among these new laws is the Animal Enterprise Terrorism Act (AETA). The act was passed in 2006 at the request of the National Association for Biomedical Research, Fur Commission USA, GlaxoSmithKline, Pfizer, Wyeth, United Egg Producers, National Cattlemen’s Beef Association and many other corporations and business groups that have a financial stake in silencing animal rights activists. You can read the full commentary, “Animal Enterprise Terrorism Act Threatens Activism,” at Jurist. Our friends over at Uji Films are working on a new documentary about our food system, and it sheds light on an issue that’s really close to my heart: antibiotic abuse on factory farms. Resistance is still in pre-production, and it explores the emerging pandemic of antibiotic-resistant infection – what’s causing it, why it’s a problem, and what’s being done to combat it. We’ve talked about the problems with farm antibiotic abuse before. Farmers use antibiotics for more than just treating disease. They abuse them to grow larger animals and they also give what’s known as a “subtherapeutic” dose to animals at all times to prevent the diseases that come from the extremely confined living conditions on factory farms.